Do you ever have those ideas that are so simple and brilliant that you are either 1) a complete genius for thinking of it or 2) a complete idiot for not figuring it out sooner? 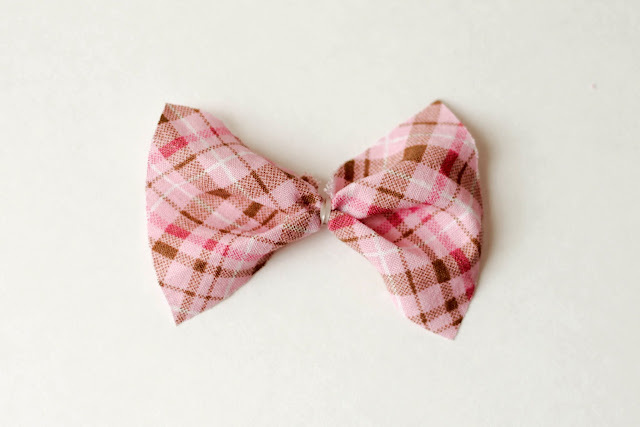 I feel that way about these hair bows. When I was about 6 months pregnant with Amaani, I became convinced that she'd go bald at an early age (four months old) like her brother. I became obsessed with making hair bows. I hot glued and sewed my little heart out, but the bows never looked right. 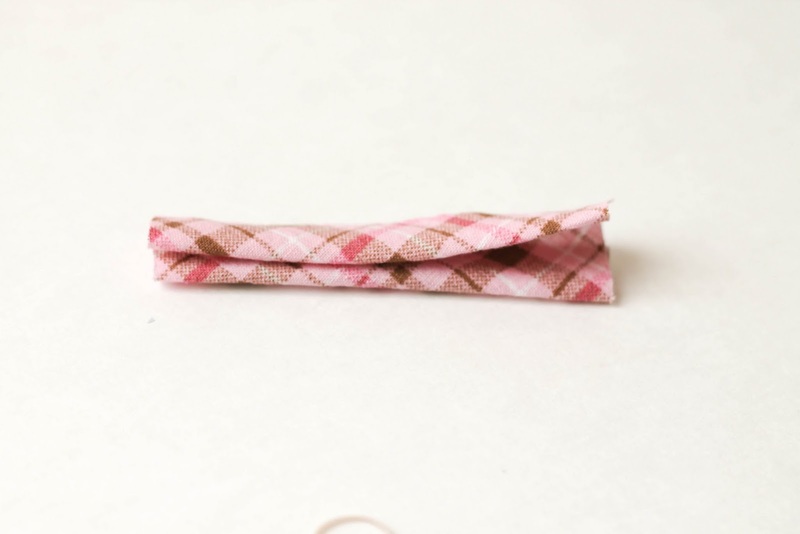 However, recently, I've had a lot of success with this new no sew/no glue method. 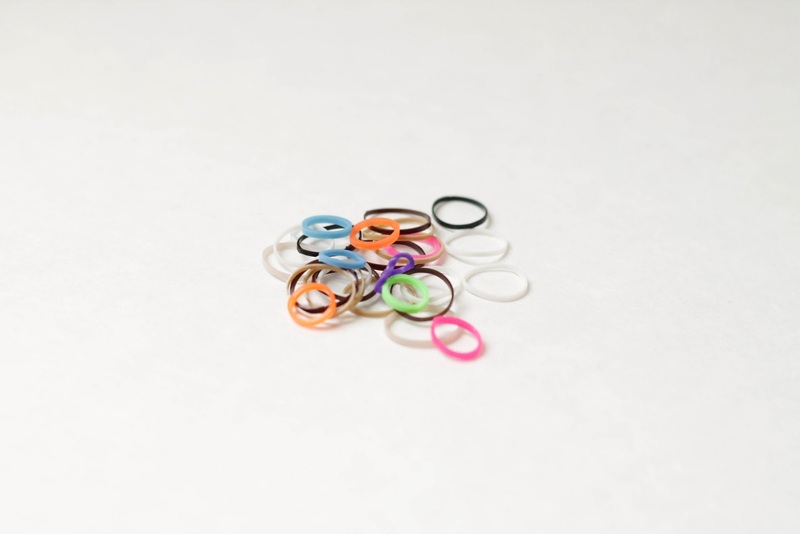 The secret are these tiny latex rubber bands. Any mom of a little girl knows them-- they come in every color imaginable in packs of hundreds, and are about the size of your pinky. Just pick out a rubber band that matches your scrap of fabric. Wrap a band around it, and you are done! No burnt and pricked fingers. 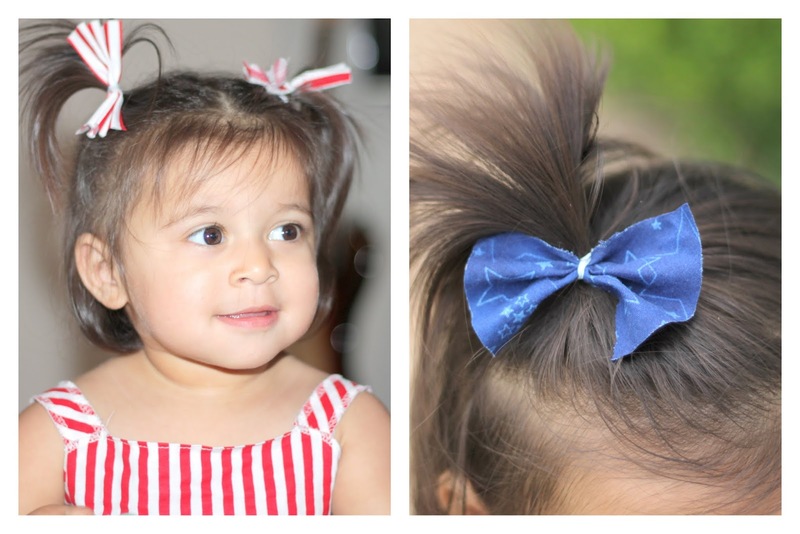 There are lots of options for attaching the bow to your little ones hair. I normally just slip the bow over a ponytail and call it done, but for extra security, you can attach these to almost anything. 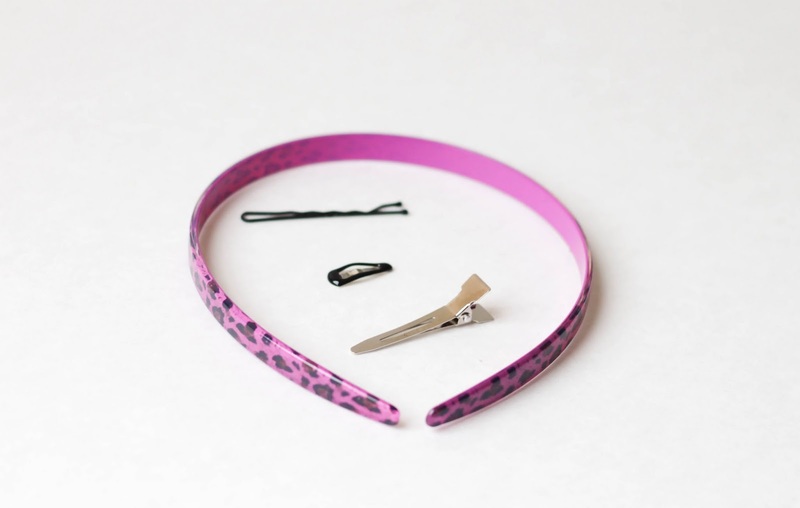 (These are a headband, snap clip, alligator clip, and bobby pin). 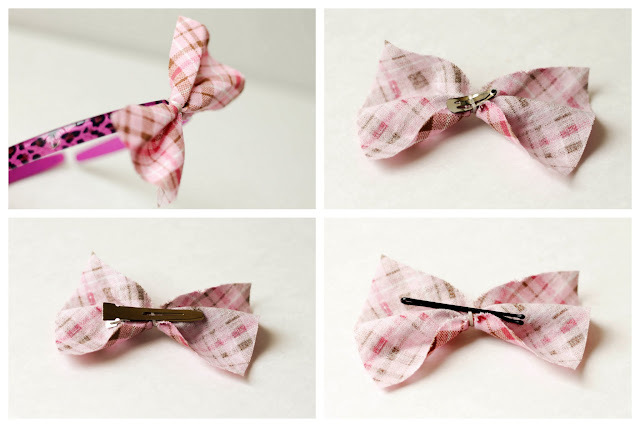 You can even use pieces of refashioned clothing. This is a cuff from the shirt I used to make this dress. 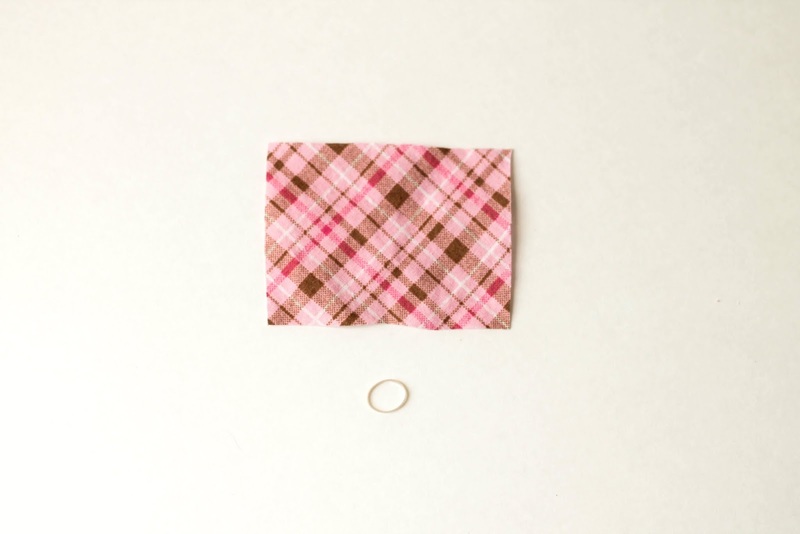 It's simply folded in thirds and rubber banded. 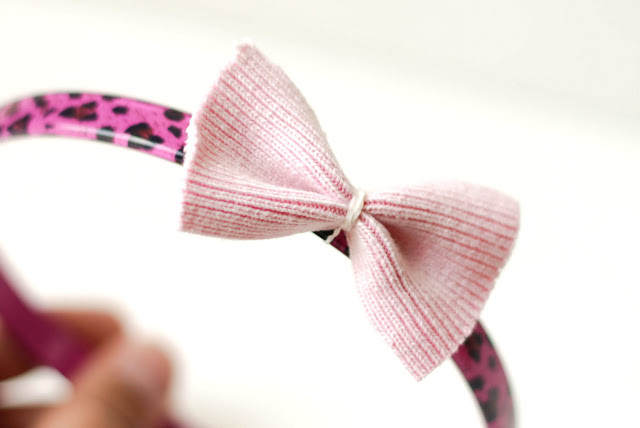 It makes a cute bow with no raw edges. It works with knits too! This is a piece of ribbing from a collared shirt. Even though she never went bald (thank heavens!) I do like to put these in her hair to go with a handmade outfit. It is literally easier to make than to buy, and she always matches! 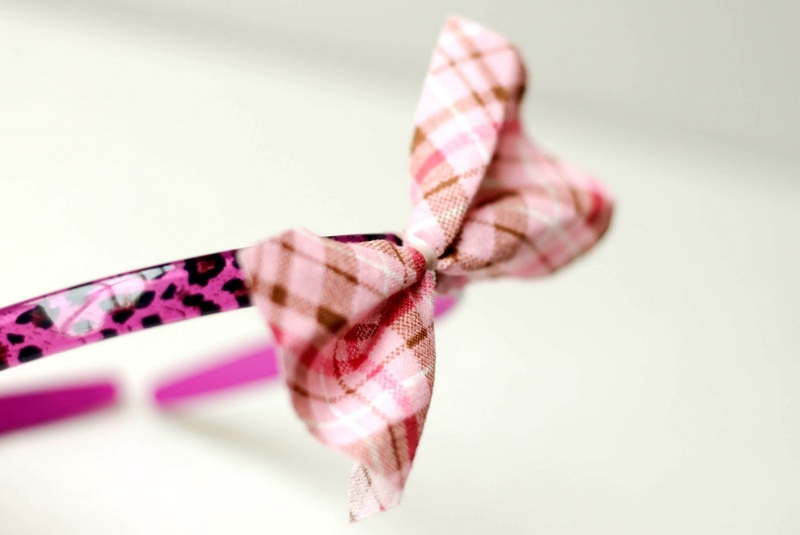 These look like pro bows and pro pictures! Thanks Ronak! I'll be sure to make you a pair! Steph, I love your website-- thanks for visiting! With three little girls why did I never think of this?!? Colleen, I was kicking myself when I figured it out! 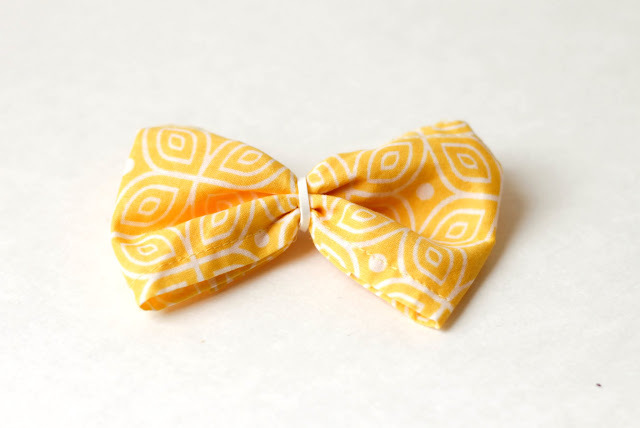 I spent a mini fortune trying to make those fancy ribbon bows! Gutukas-- thanks for the comment! I checked out your site, your jewelry is beautiful!